This year, two very special days fall on the same weekend: Mother’s Day and World Fair Trade Day (May 11-12) and I’ve joined forces with Fair Trade USA to not only share the love for Fair Trade, but to share with you the amazing things mothers all over the world are doing continue in their Fair Trade jobs. We’ll also have a big Fair Trade products giveaway at the end of this post, so be sure to scroll down and enter it! 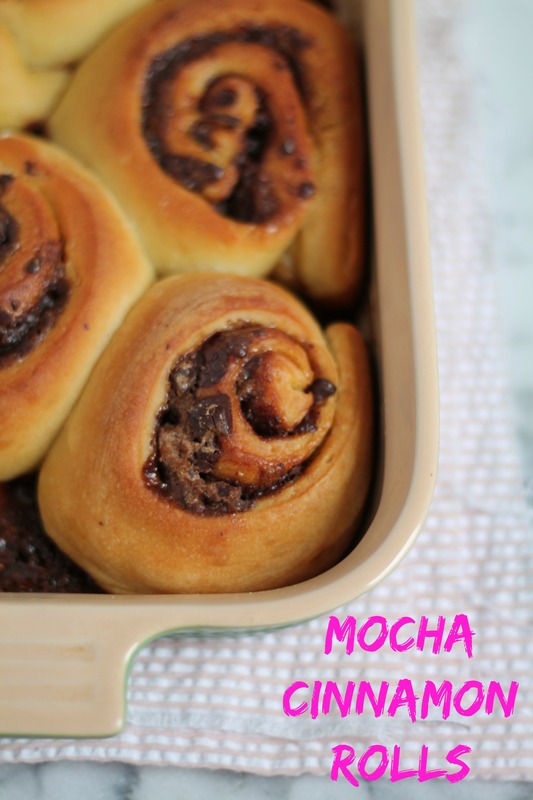 Now, what do these Mocha Cinnamon Rolls have to do with both Mother’s Day and World Fair Trade Day? Well, first of all this recipe uses FOUR ingredients from fair trade brands: Guittard Chocolate Company, Frontier Ceylon Cinnamon, India Tree Brown Muscovado Sugar, and Allegro Coffee! And with Mother’s Day – well, what mom doesn’t appreciate a brunch in her honor?! What is Fair Trade? Your everyday purchases can help farming families in 70 countries earn fair wages, work in safe conditions, protect the environment and keep their kids in school. Buying Fair Trade is an easy way to support the hard-working people who grow the products we love. You’ll find the Fair Trade Certified™ label on thousands of products throughout the grocery store, from coffee, tea and chocolate to bananas, honey and even wine. Quality Products: Farmers receive training and feedback to help grow products that meet the quality requirements of the global marketplace. This increases their incomes and improves their communities. Improving Lives: Workers receive fair wages, safe working conditions, access to education and healthcare. They also earn community development funds that allow them to invest in their futures. Protecting the Environment: Farmers receive higher prices for organic crops and learn about sustainable farming. Harmful agrochemicals and GMOs are strictly prohibited. So when you bake up this recipe, not only will you be indulging in sweet, chocolate-stuffed, sugar & spice baked goodness, but you’ll be supporting an organization, a movement, a way of life. I wanted to showcase these products specifically (coffee, sugar, cinnamon, and chocolate) because they are also the main crops in the Dominican Republic, my home island. These four items are the ones I always try to buy Fair Trade – because I know I want the farmers, not only in the Dominican Republic, but everywhere else, to have a fair chance in gaining the wages they deserve. Read about our trip to an organic cacao farm in the Dominican Republic. 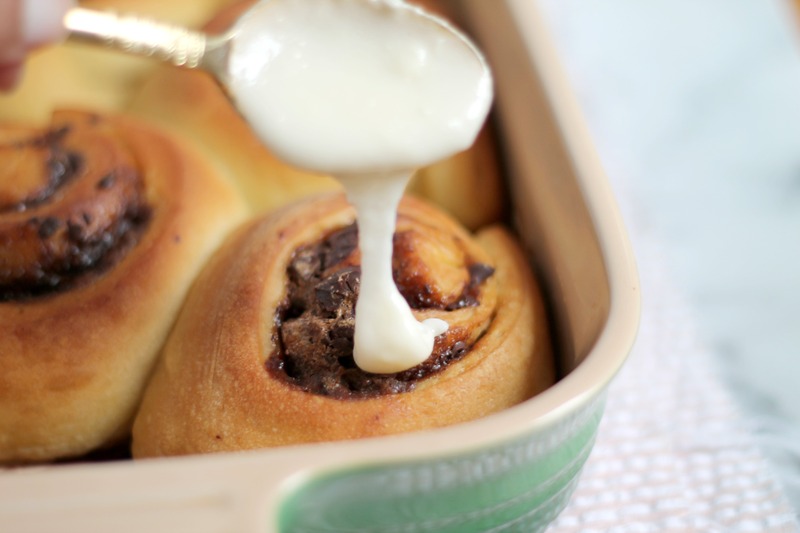 A caffeinated treat, these mocha cinnamon rolls are perfect for a brunch or breakfast party! In your mixer bowl, mix together the warm coffee, yeast, and a pinch of sugar. Let sit for five minutes until yeast is activated, or becomes "frothy". Add the rest of the sugar, salt, buttermilk, egg, and oil and throughly mix. Incorporate half of the flour and knead. Dough will be sticky, add the rest of the flour and knead on medium high for 5-8 minutes. Prepare an oiled bowl and place dough in it, in a warm place. Let proof for two hours. Once the dough has proofed, it is time for rolling it out and filling it. Punch down the dough and roll out to a large rectangle. In a small bowl, mix the sugar, cinnamon, and cornstarch. Slather rectangle with softened butter, sprinkle with sugar mixture and then evenly sprinkle chocolate. Roll the rectangle to a tight long and cut two inch pieces for the cinnamon rolls. Place in a buttered pan, covered for about an hour until rolls double in size. Bake in a preheated 350F oven for 20 minutes, until golden brown. For glaze: mix all the ingredients. If the butter doesn't incorporate too well, place glaze in microwave for 5-10 seconds. Serve warm with glaze and enjoy! Adapted from Lauren's Latest "Cinnabon Cinnamon Rolls". Disclaimer: This post is sponsored by Fair Trade USA, but opinions are always my own. I fully support the Fair Trade organization and try to purchase as many fair trade products as possible. I try to buy fair trade products when I can afford them. Tea and chocolate are my fav products to buy fair trade! I don’t usually buy Fair Trade foods simply because I haven’t seen them very often where I shop. It’s not always available where I live, but I definitely do when I can! I always try to buy fair trader. I like to know the little extra money i give for a product is going to smaller company’s rather then the super rich. I buy Fair Trade products if I remember and see them. Yes, I try to buy Fair Trade when possible knowing farmers and workers producing Fair Trade Certified goods are paid fair prices and wages and work in safe conditions. I do buy fair trade coffee and sometimes tea. Yep! My favorite coffee is fair trade! I do buy Fair Trade products as much as possible. I know that when I do I’m am supporting some good business and that I am consuming some good products. 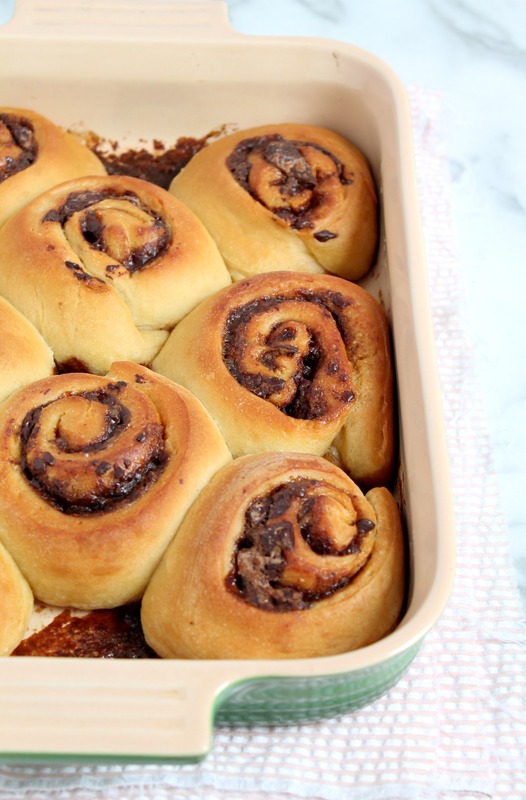 These look delicious and using fair trade ingredients make it even sweeter! This is the first I have heard about fair trade. I will make sure I buy whenever possible. I try to buy fair trade coffee and chocolate bc it’s the right thing to do. I do always try to buy fair trade coffee. It’s the right thing to do! I do buy fair trade when I have a choice, mostly coffee and chocolate. I buy fair trade coffee, but living here in the middle of nowhere, I really did not know much about other items that are fair trade. Know I need to check it out. Yes, especially coffee and chocolate. I haven’t been checking to see if I buy Fair Trade, where I live we have very limited options. I’m so happy to see Fair Trade encouraged and prosper in order to help farmers around the world. I’m also excited about your give away. Thank you!!! I buy organic when I can and I have bought some fair trade. Oooo I want all of this. I always look for the fair trade label when shopping! love organic and buy fair trade and/or local as often as i can. We are a union family so we are always trying to buy fair trade also! Great giveaway. I love fair trade products and try to purchase when I can. I know we are lucky in this country and food is inexpensive, and few of the profits are passed on to the farmers in other countries. So I love seeing FT companies. I love my fair trade coffee! What a fun giveaway! I do try but Fair Trade mostly is sold in coffee selections at the moment. To be quite honest, I’m not sure if I do or not. I never really looked at the packages. Now I am curious and going to have to go raid the pantry! I do but the availability is limited in my area. I don’t buy much fair trade, but I live in the middle of a cornfield, and our grocery stores are severely lacking. No Trader Joe’s, no Whole Foods, no nothing. But, if I could, I would! Yes – I love fair trade brands as it supports people and quality products! And they taste yummy too! Fair Trade is a great cause for people and I support it when I can! Absolutely! Fair Trade supports people, the planet and our whole community. Thanks! wow – those pictures are gorgeous! that drizzle is divine!! I buy fair trade when I can, but it’s not always an option where I shop. Umm, yes please! 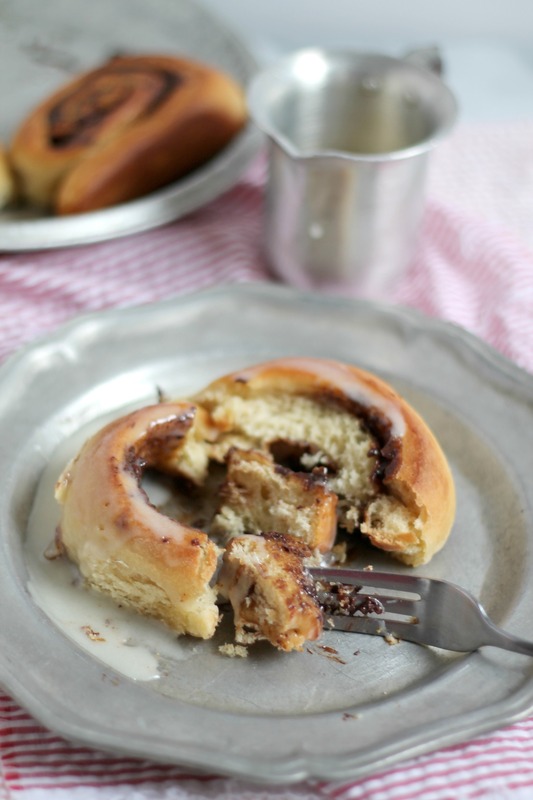 These cinnamon rolls are fantastic! And I love your shout out to fair trade! Such a good cause and program. 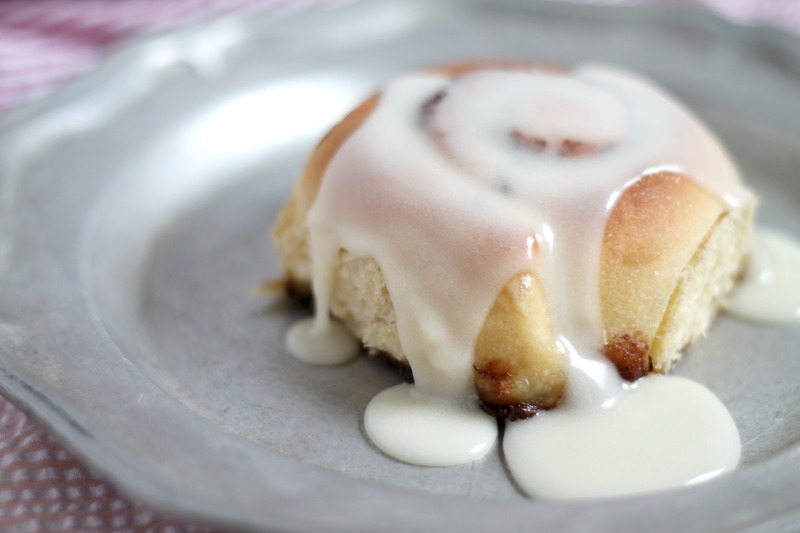 But seriously back to those cinnamon rolls! Yum! I know I buy some coffee that is Fair Trade! I really need to learn more about it! YES! I buy fair trade coffee and fair trade chocolate too. It feels like I’m supporting the right industries, and I’m getting some fabulous products too. Win-win!